Vi tok jentene i Ushodaya og de minste barna på Prasanthi på tur til Lepakshi tempel. Vi føler at det er viktig at de blir kjent med kulturelle steder i fylket deres. Her er de de foran «Den store tyren». 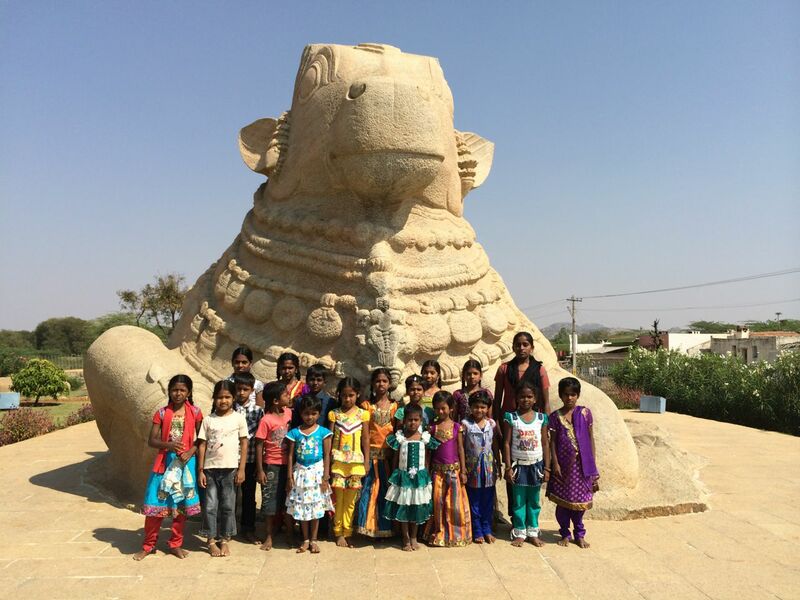 We went to Lepakshi Temple with the girls from Ushodaya and the younger children from Prasanthi. We feel that it is important for the children to see cultural places in their state. Here they are in front of The Big Nandi.